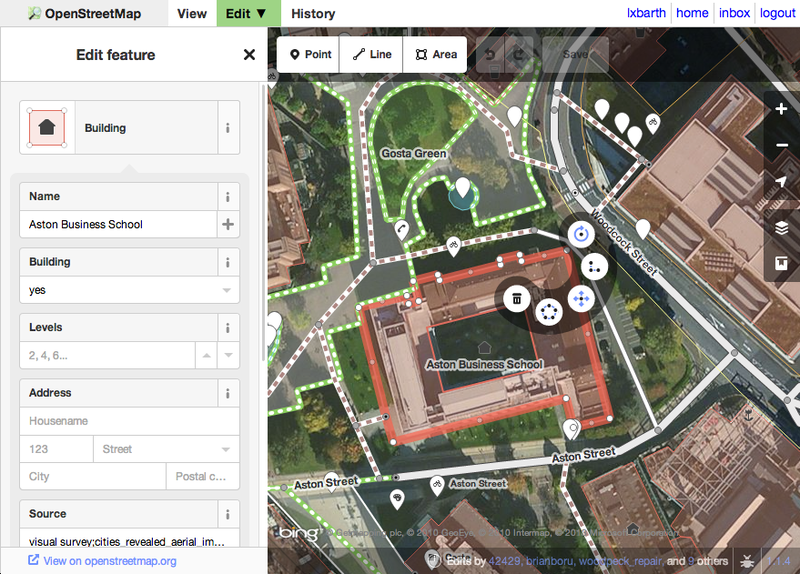 If you click the edit button today on OpenStreetMap, you will find a new, easier to use in-browser editor. With OpenStreetMap rapidly becoming the go-to map for thousands of mobile apps and websites, more and more users are seeking an easy way to add their local knowledge to the map – without the technical background of OpenStreetMap’s early adopters. The new all open source web editor, named iD, was launched last May as an additional option to make the editing experience much easier for first-time mappers. Since then, the iD developers have worked hard to close feature gaps and improve performance such that it can now take its place as the default editor for OpenStreetMap.org. iD offers a walk-through tutorial for first-time users, inline documentation for tags, and a more comprehensive help system than previous in-browser editors. Potlatch, the existing online editor, continues to be developed for intermediate-level users and will remain as an option in the edit dropdown. For a full list of available editors, take a look at our wiki. You can configure your personal default in your user settings. 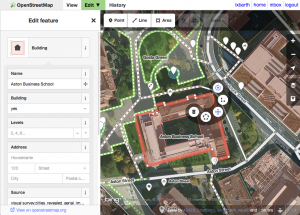 Head over to OpenStreetMap.org and give the new editor a spin. This entry was posted in editors and tagged id on August 23, 2013 by OpenStreetMap. I am finding the changed default a bit unsettling – I want to keep using potlatch, and had assumed it was “remembering” via a cookie or something. However, I open up multiple things to edit and get rammed into iD. Hi Dan, you can set potlatch as your default editor under you “My settings” top right once logged-in.